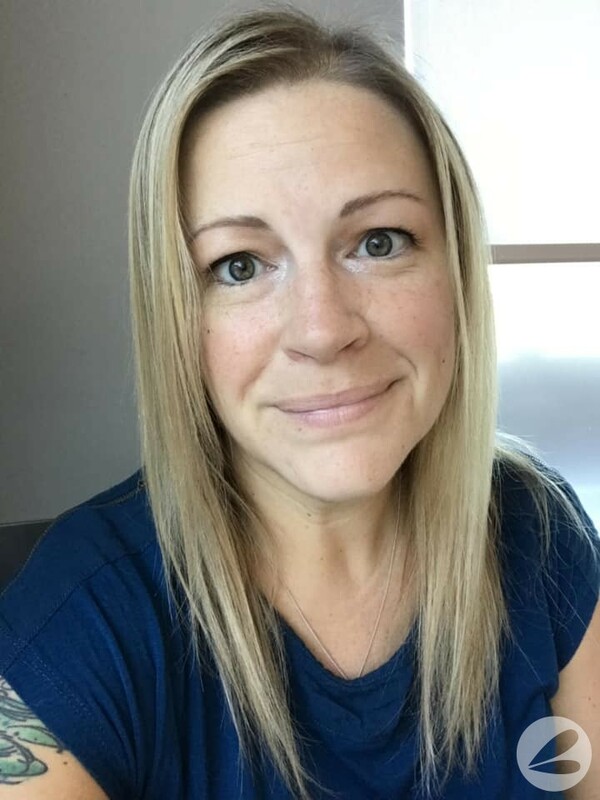 You are going to LOVE this project! I do. 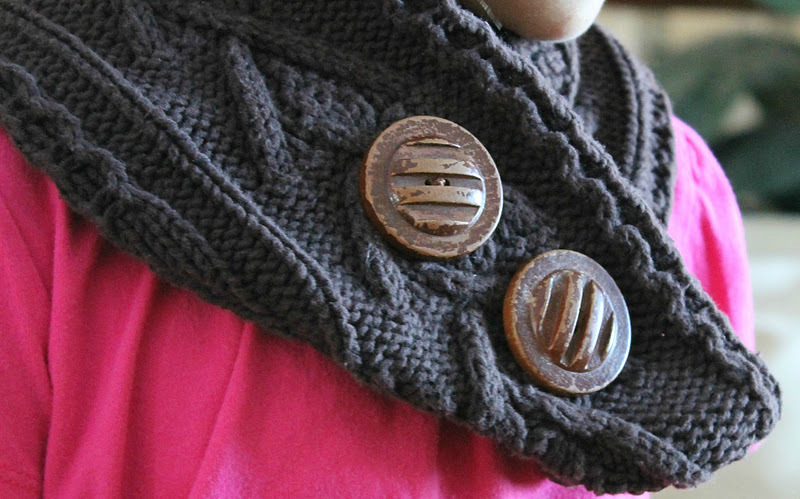 This sweater scarf is super cute right!?!? 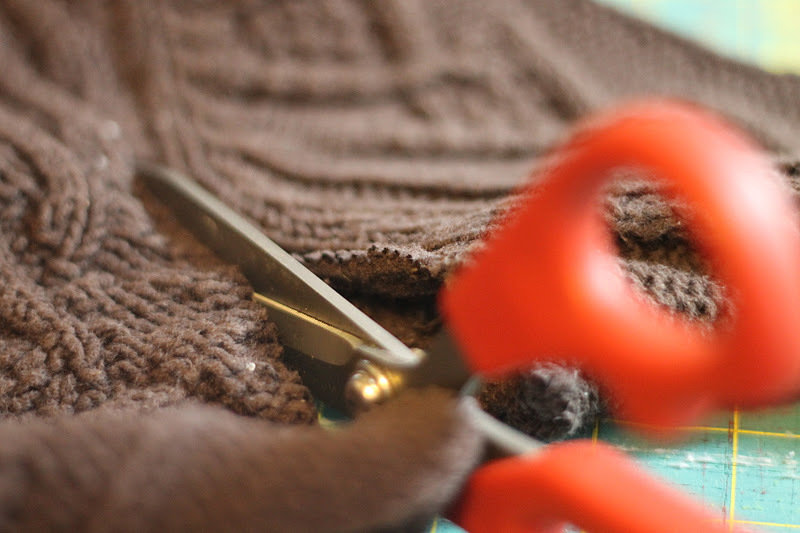 Cut the arm of a knit sweater off at the shoulder seam. Be sure to have at least 24″ of material. 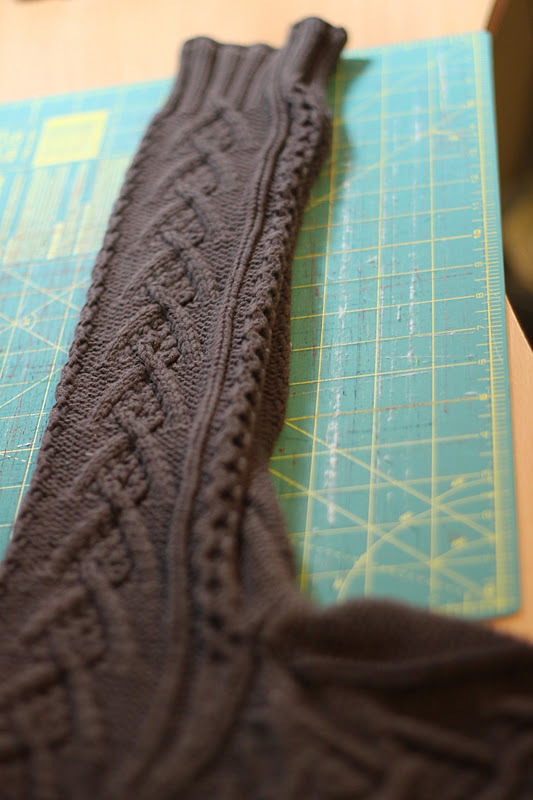 Invert the arm and sew the shoulder seam together, right sides facing. 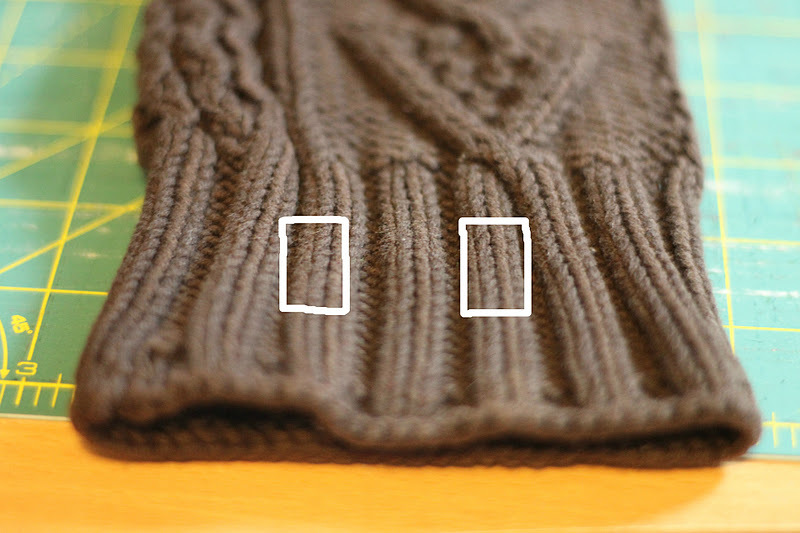 With a large knit it is a good idea to use your loosest stitch setting. 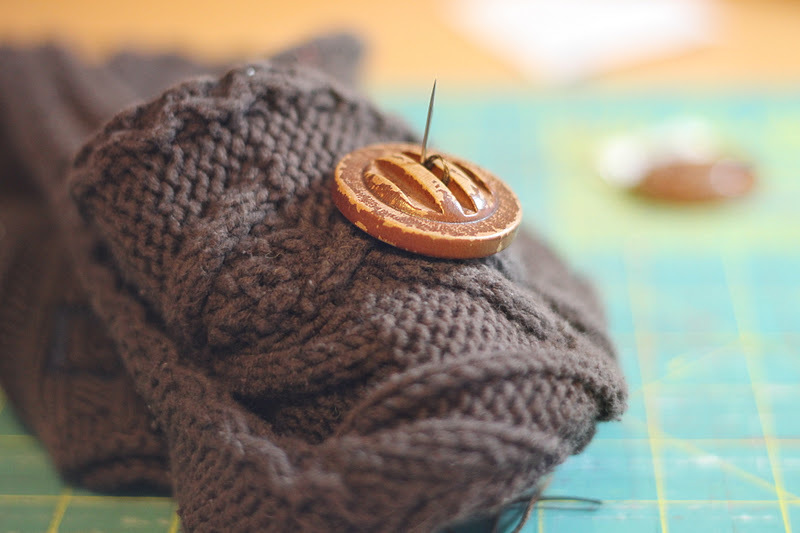 Now create button holes in the cuff of the arm. 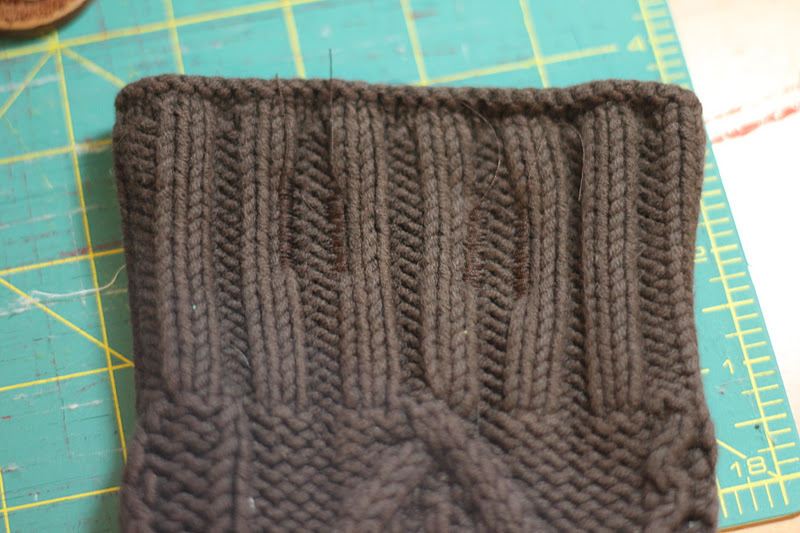 Use a tight zig zag stitch to create a rectangular shape. 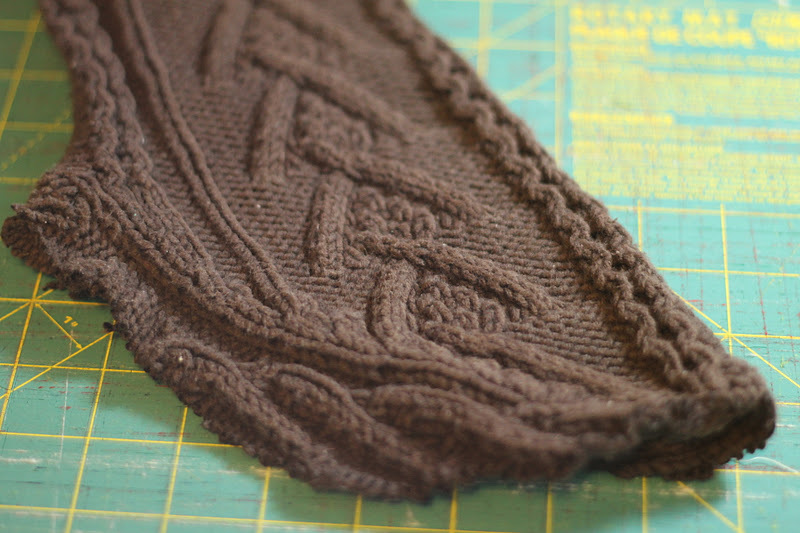 Here is the front of my cuff with the vertical lines sewn. 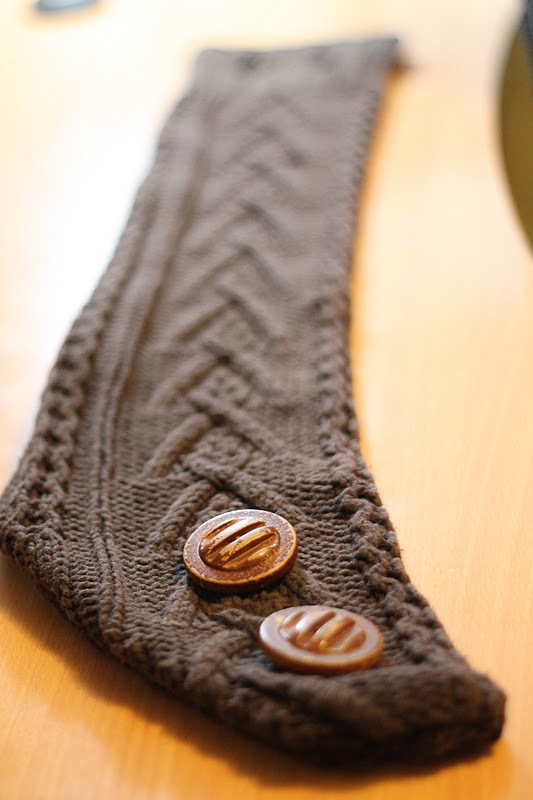 And here is the back of my cuff with the button holes complete. 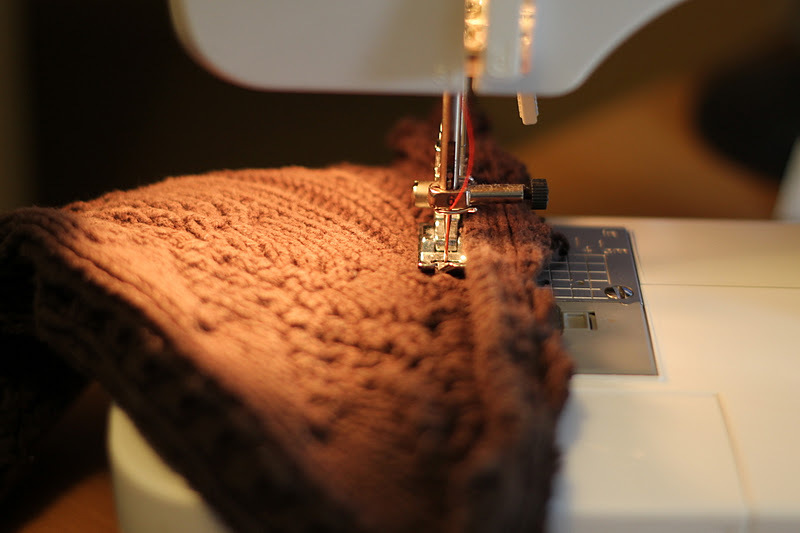 Cut the material out of the center of the button holes. 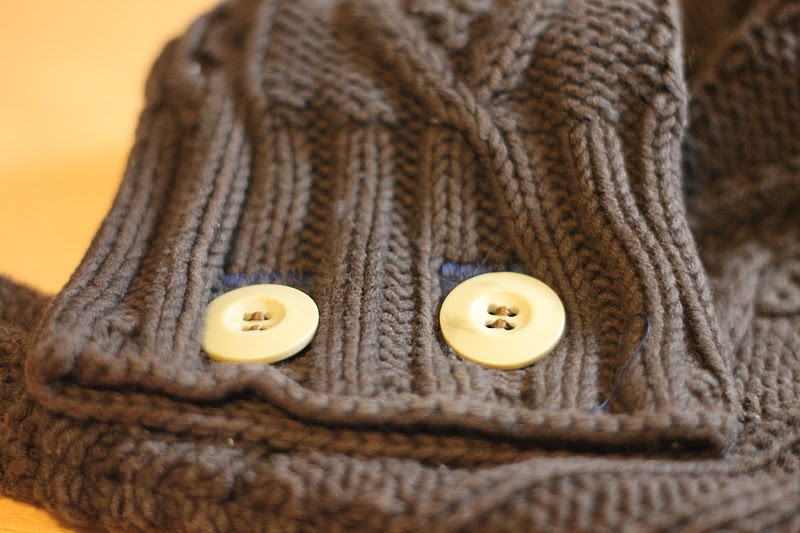 Now on the shoulder end of the arm, sew four buttons. 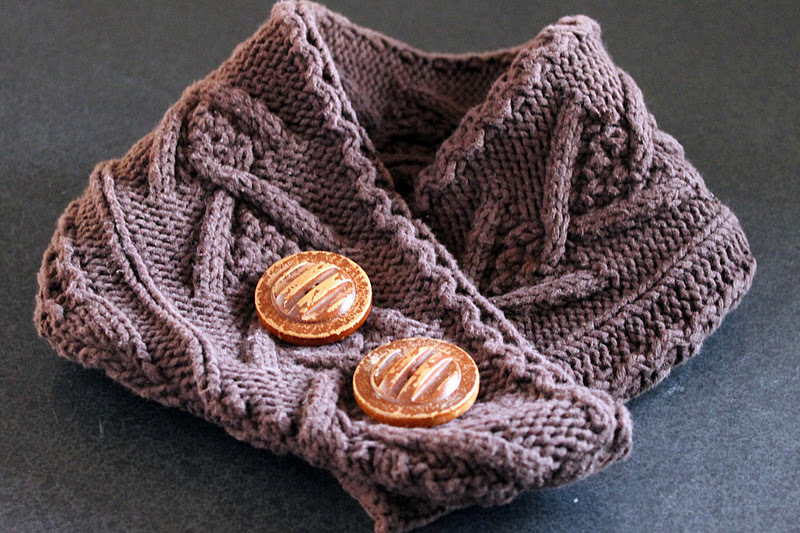 Two buttons will be decorative on the outside of the arm/scarf and two will be functional on the inside. 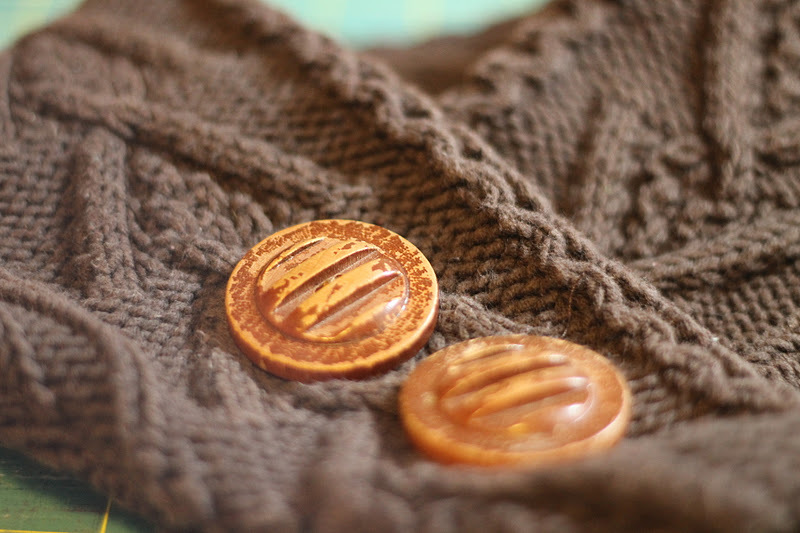 Here I attached the outer decorative buttons to the inner working buttons by sewing them together through the material. 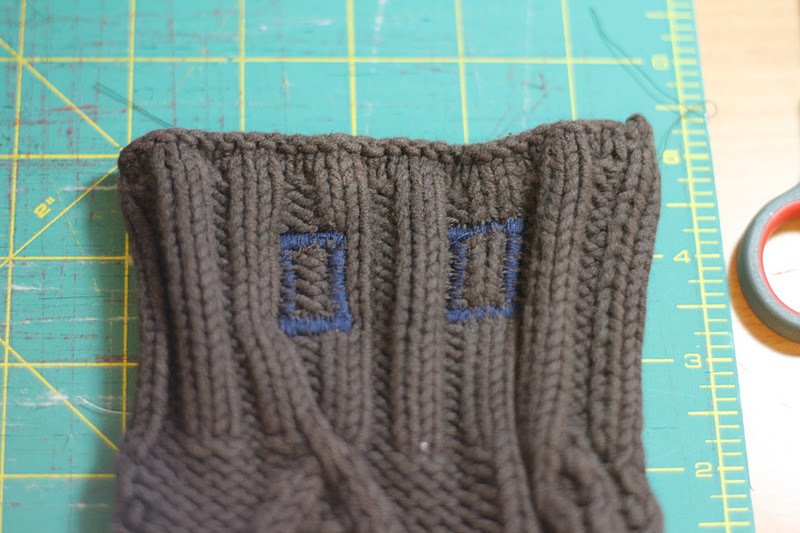 And here are the inner working buttons slipped through the button holes on the cuff. 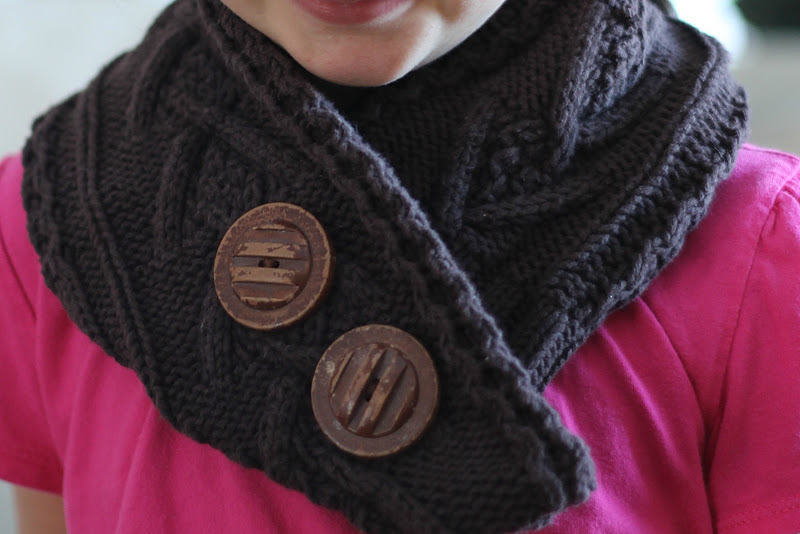 There is still time to make your own Upcycled Sweater Scarf before Christmas! 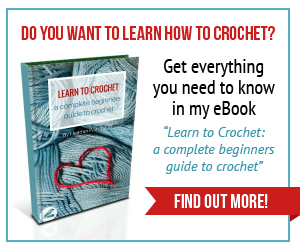 I’m adding this and a few other goodies to gift baskets including my homemade preserves and cookbook! Linking to these fab parties. I love this! Thanks for the great idea!